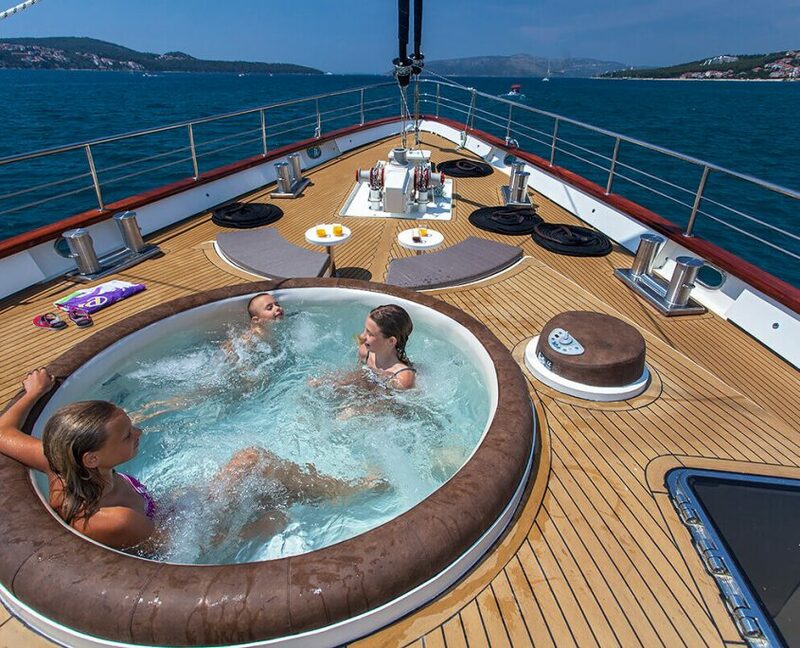 Luxury luxurious yacht Navilux with capacity of 12 people in 6 cabins. 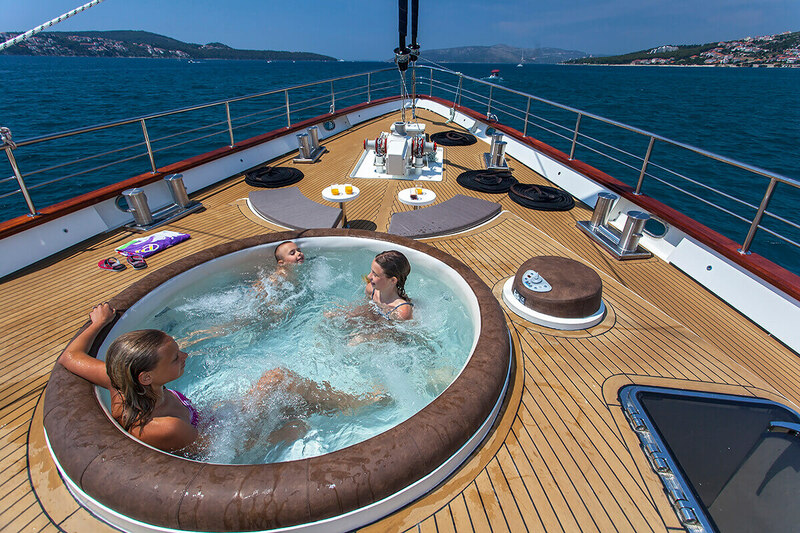 Luxury luxurious yacht Navilux with capacity of 12 people in 6 cabins. 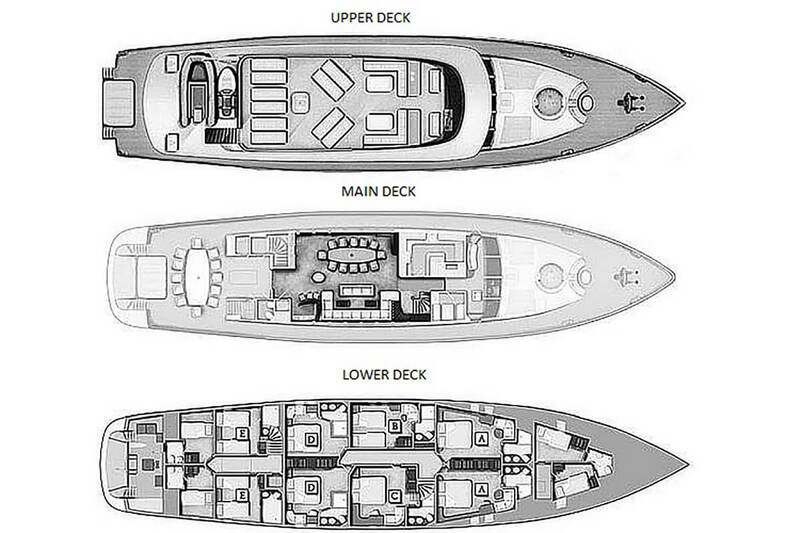 Have a question about Navilux? 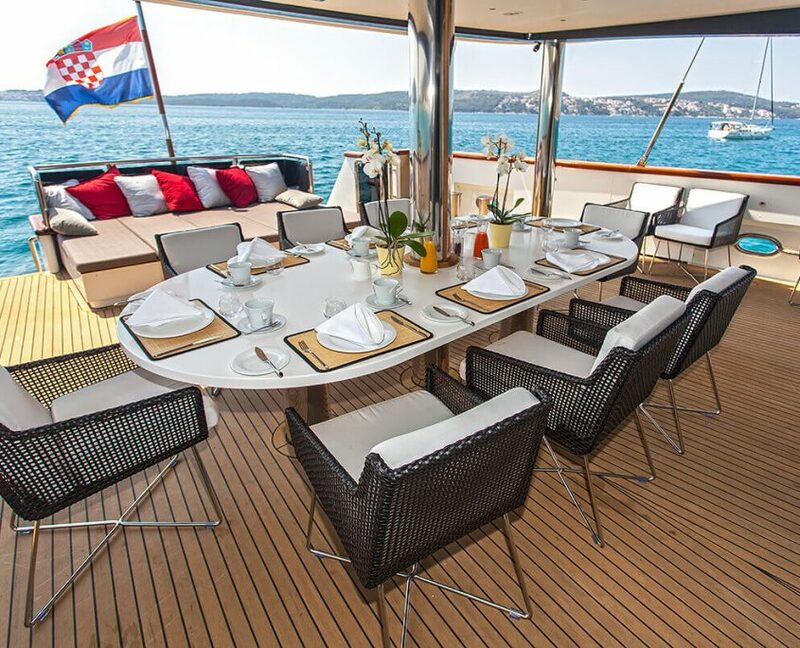 Motor Sailing Yacht Navilux is definitely one of the 3 most luxuries vessels in Croatia. 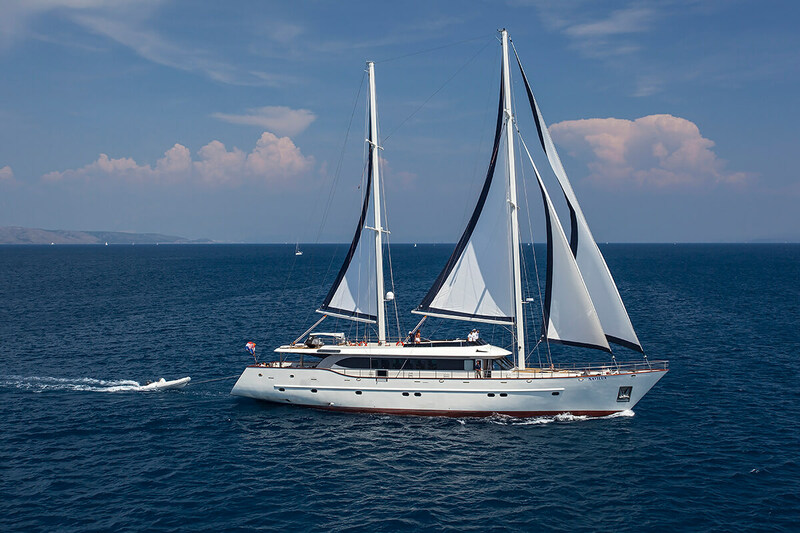 With its 37,30 meter built in 2012 is available for luxury yacht charters in Croatia. 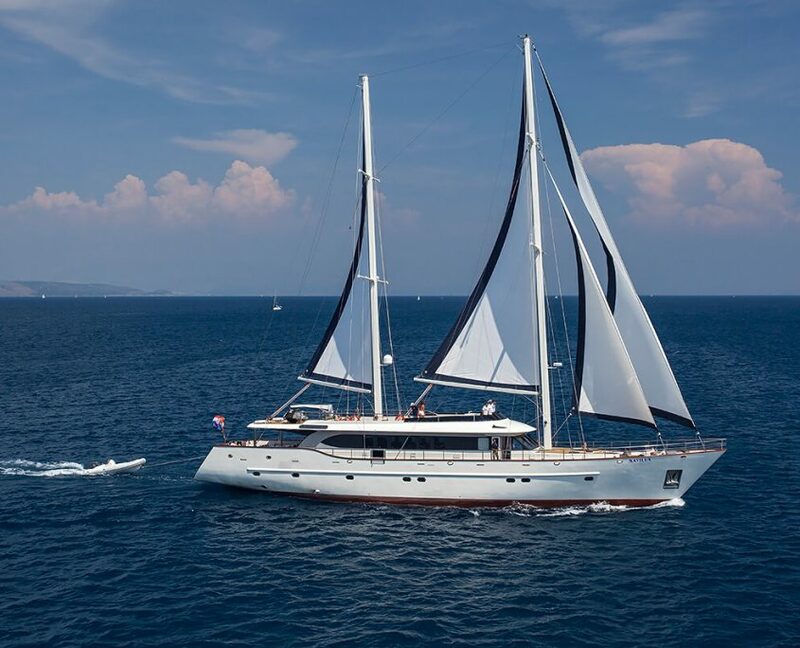 This beautiful sailing yacht is luxuriously equipped for family charters and has 6 spacious luxury cabins for 12 charter guests. 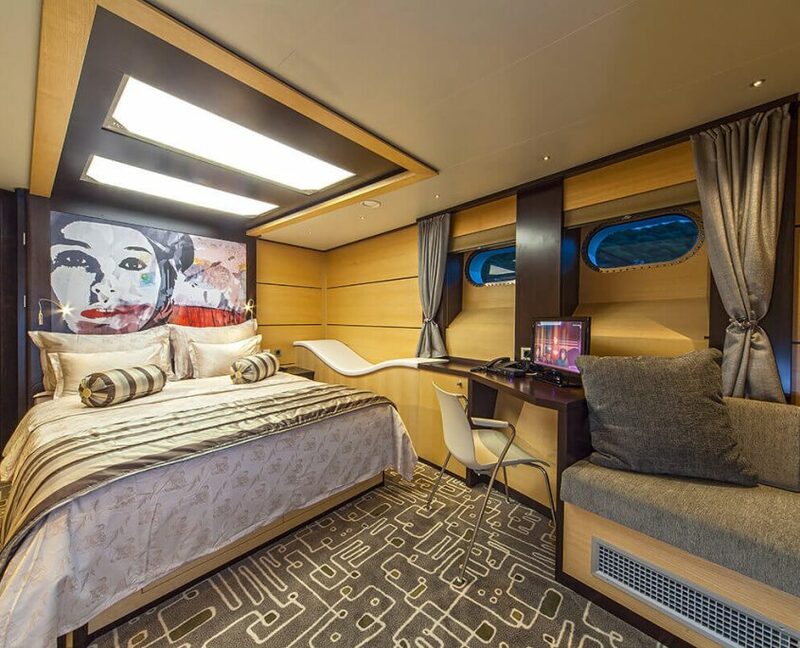 It has five queen cabins and one twin cabin. 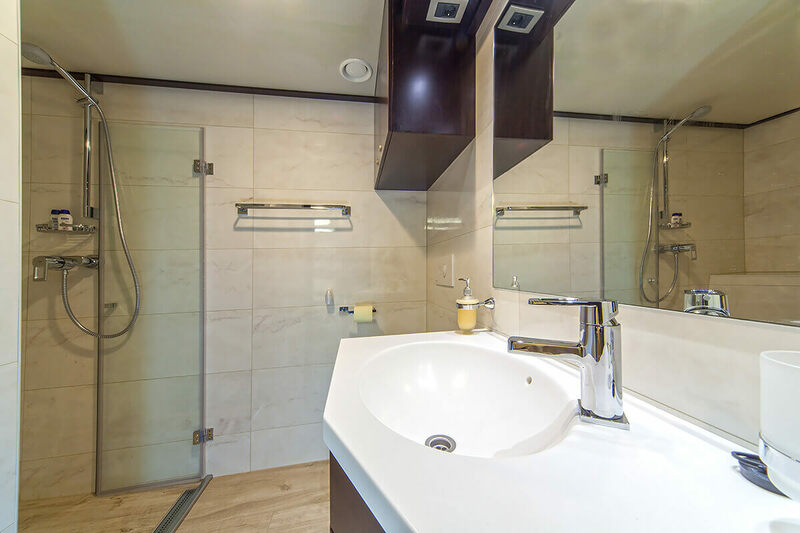 There is additional accommodation for two personal support staff. 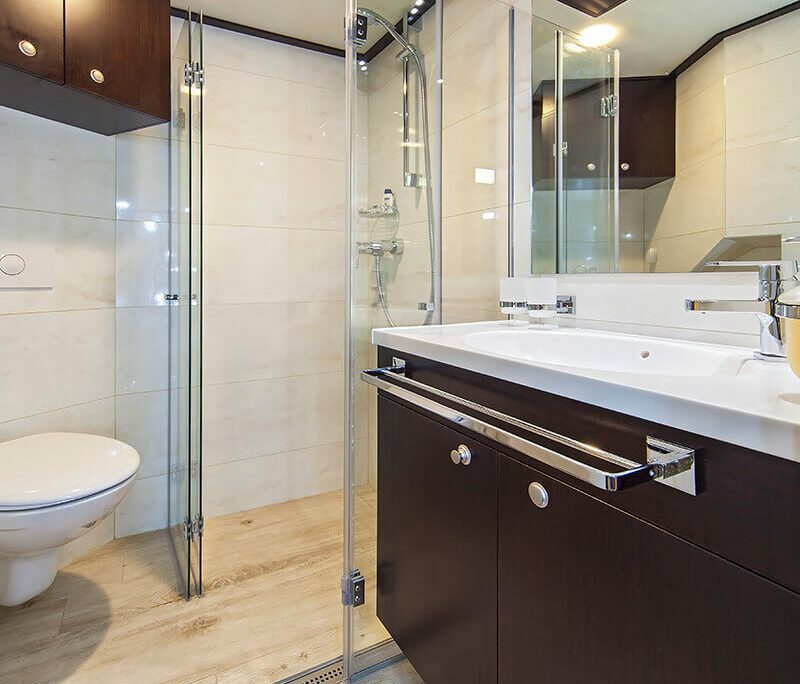 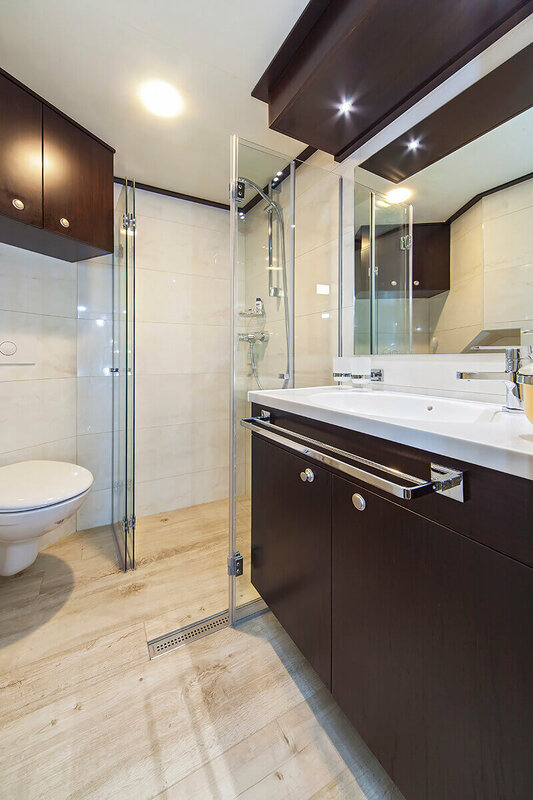 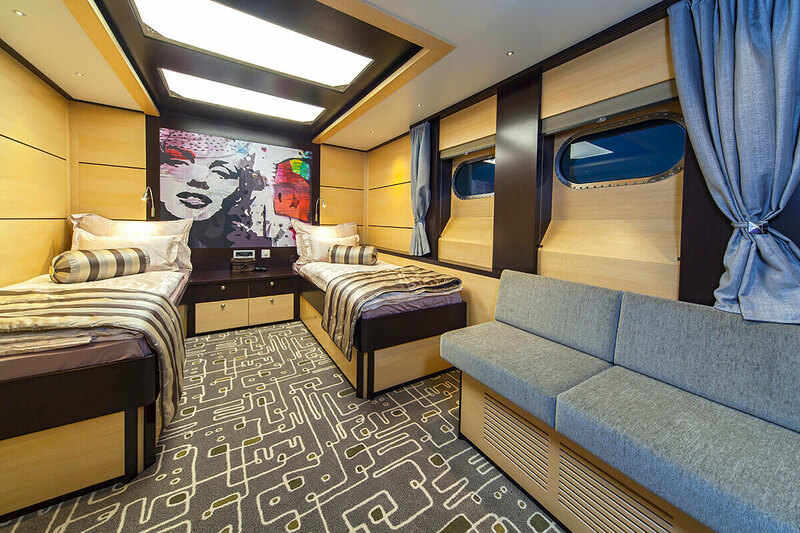 The lavish and modern interior has been finished by the best designers to achieve a luxurious yet comfortable charter yacht. 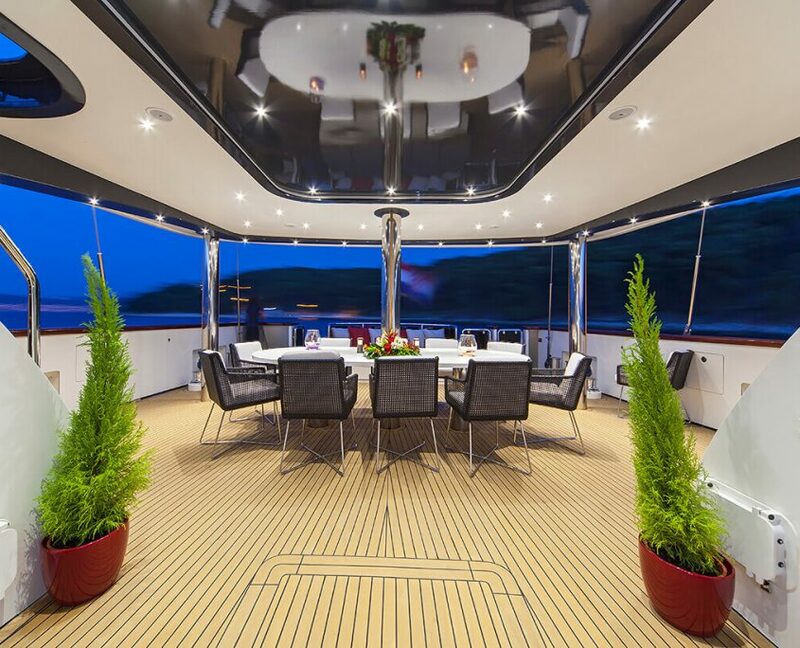 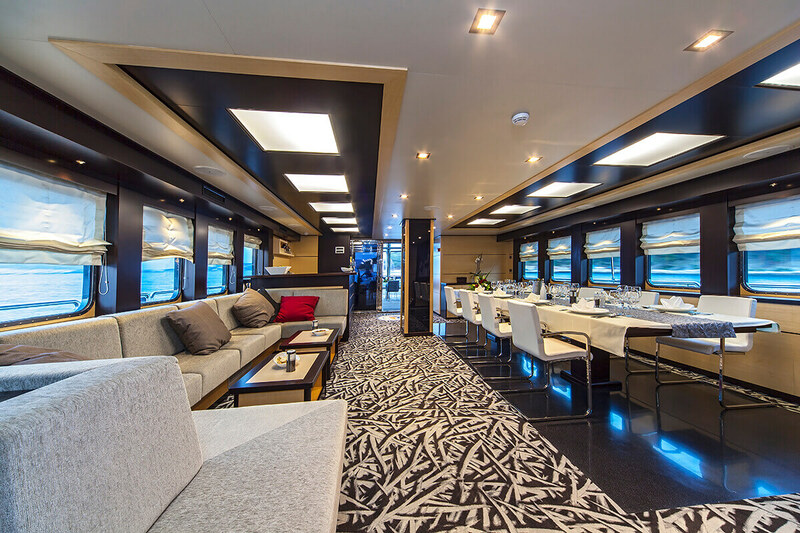 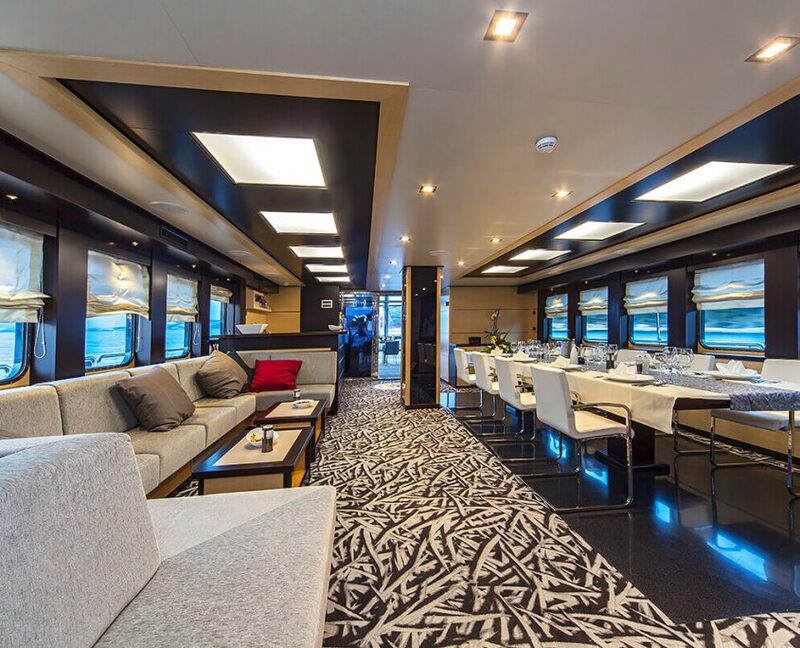 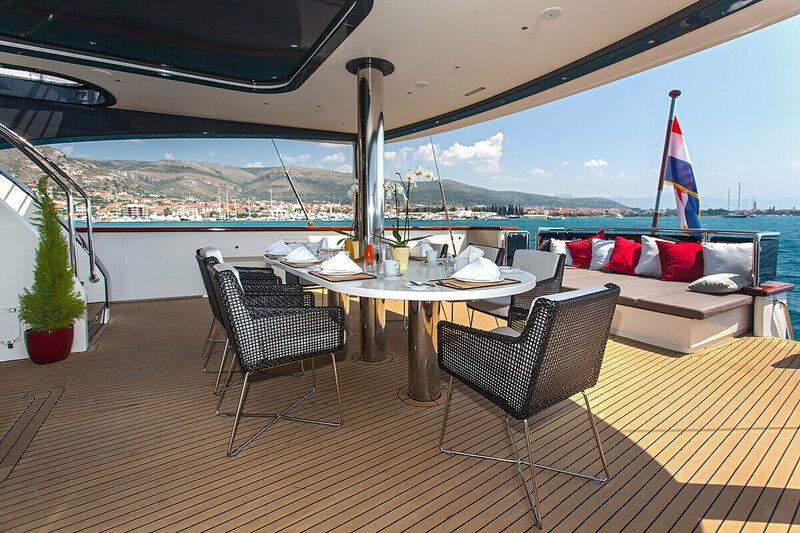 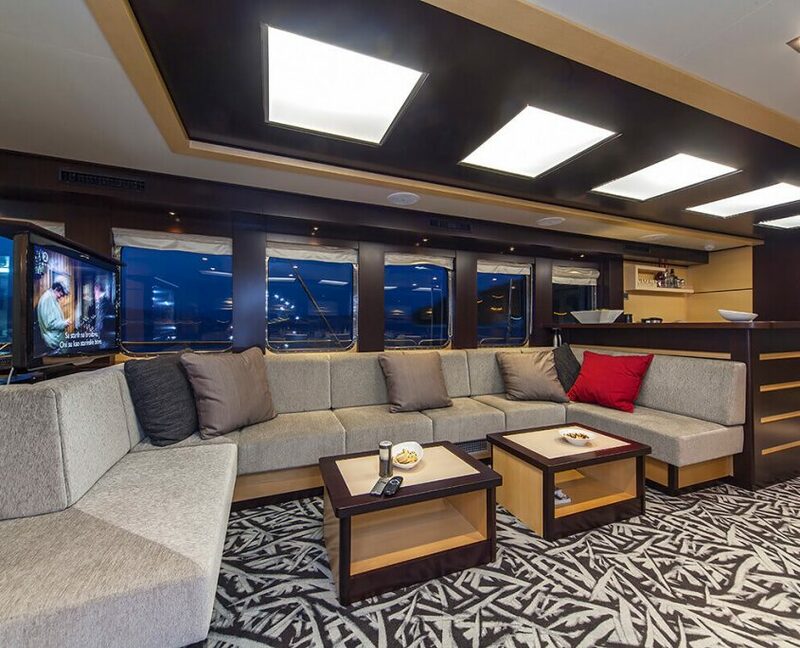 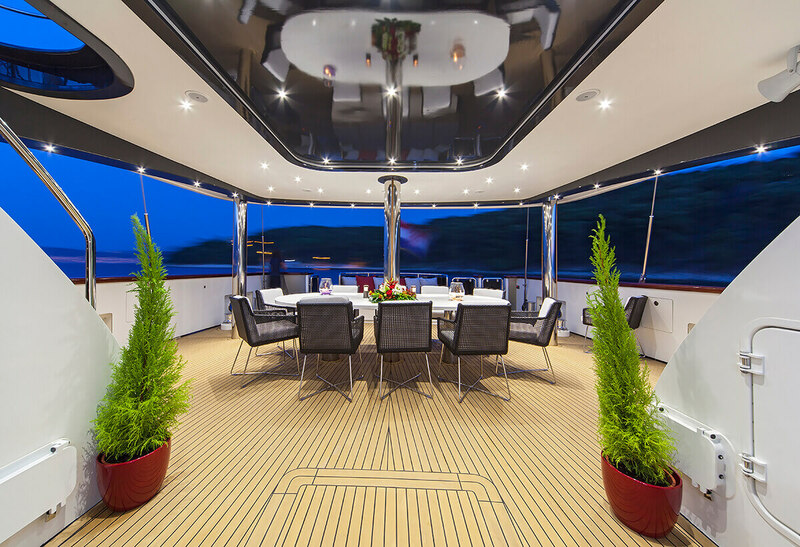 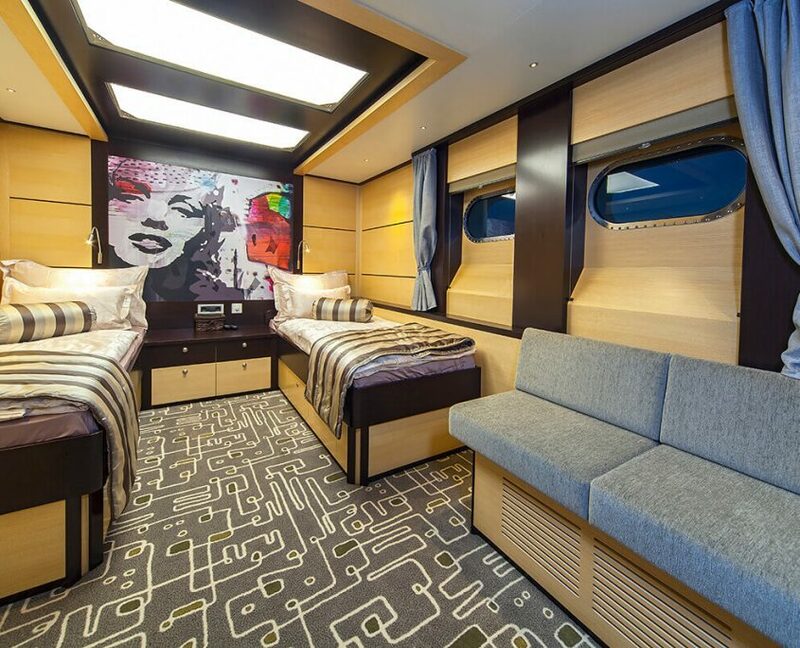 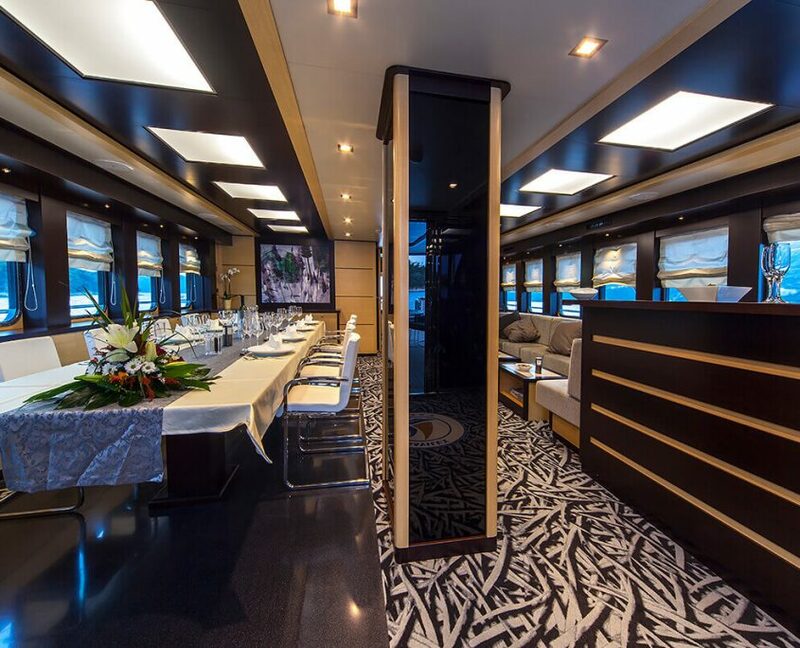 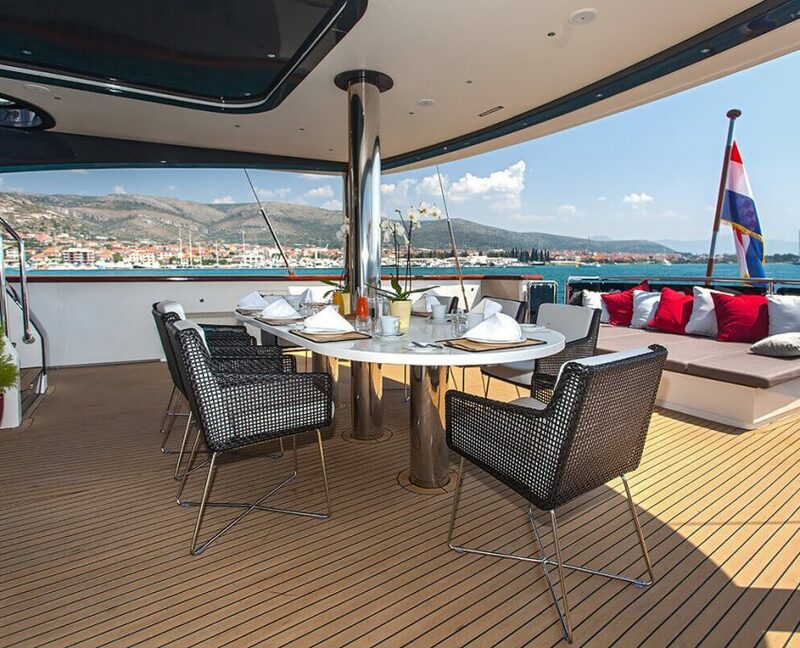 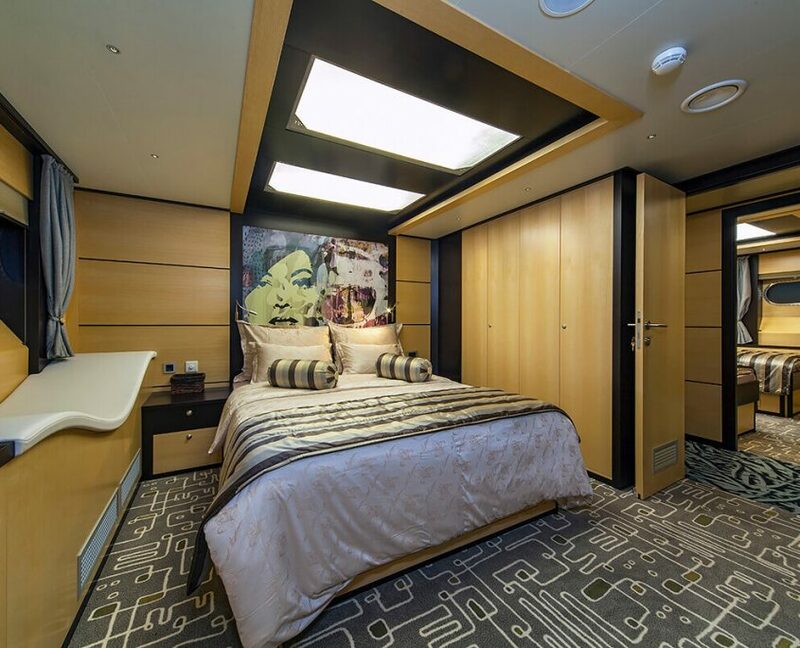 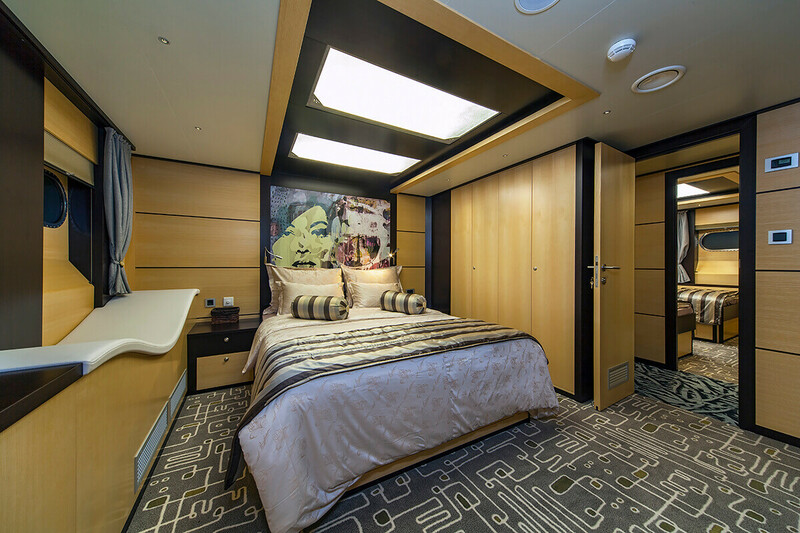 The massive salon on the main deck boasts large couches to the port side, ideal to relax on, and there is a large dining table on the starboard side. 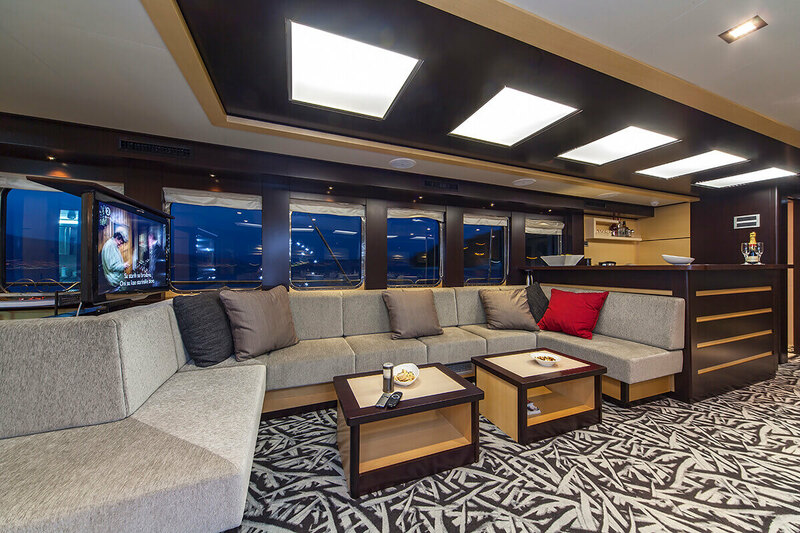 At the aft of the salon is a bar, where the crew prepares fresh juices or cocktails on your request. 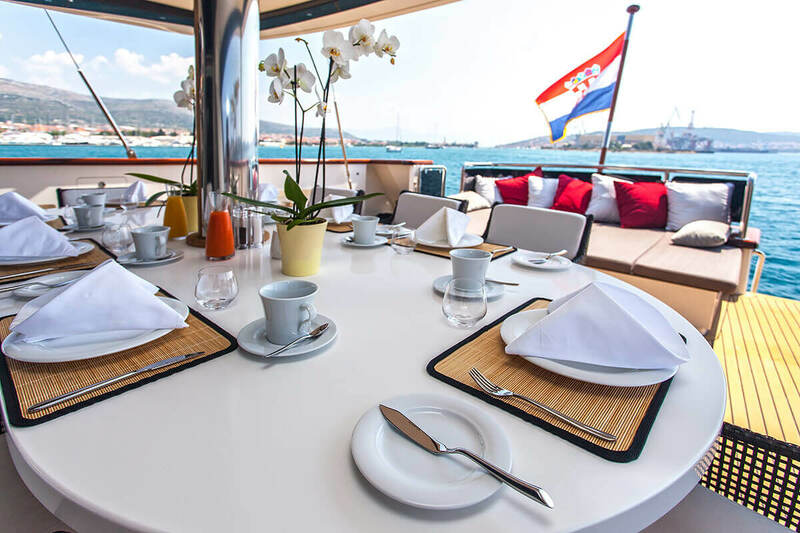 When under sail by day, or while lying idly in a snug inlet or island bay at sunset, guests are forever treated to the natural beauty and man-made highlights of this spectacular region. 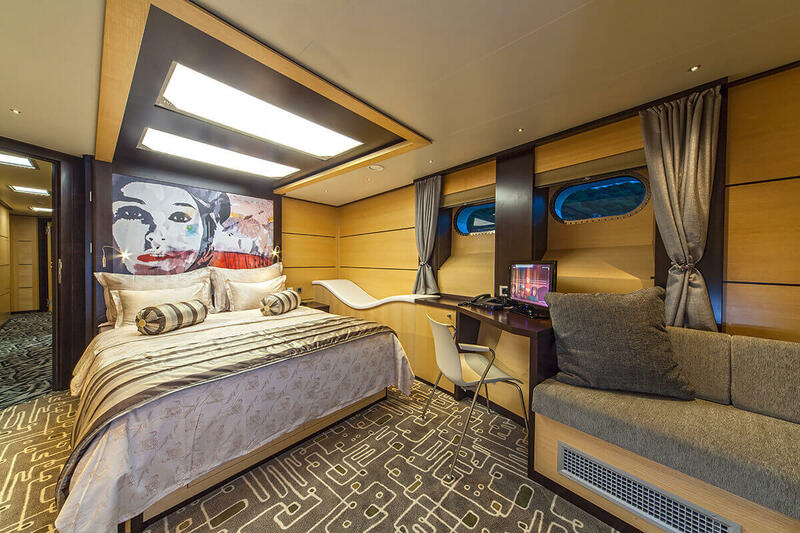 Cabins Specification5 DOUBLE, 1 TWIN. 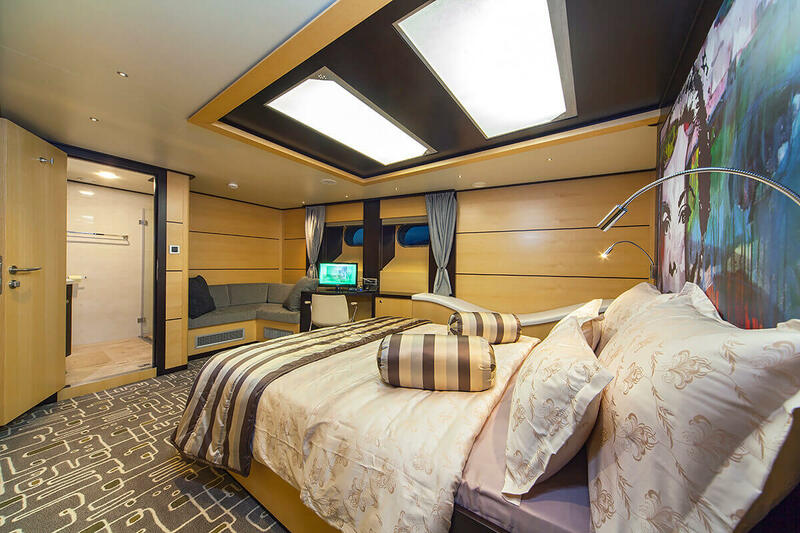 BedsDouble beds and twin bed. 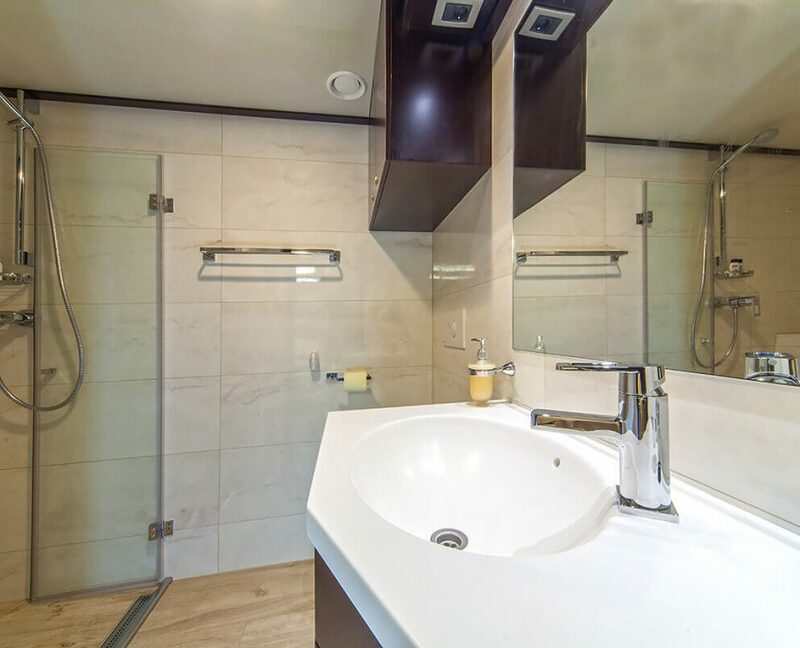 Air conditioningUnlimited hours per day. 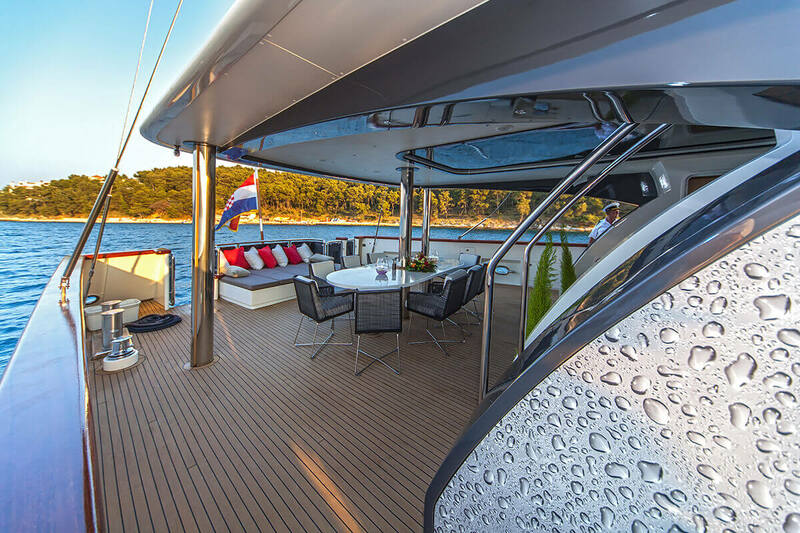 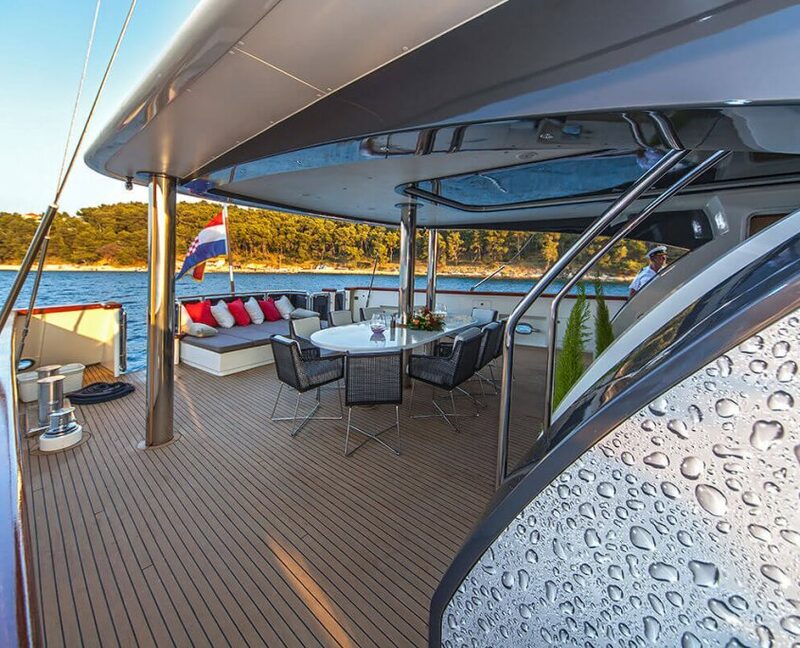 champagnes and liquors which are not included in beverage packages, Wave Runner: 100 €/h – available only to the license holders**, custom fees and charter licenses if chartered outside of Croatia. 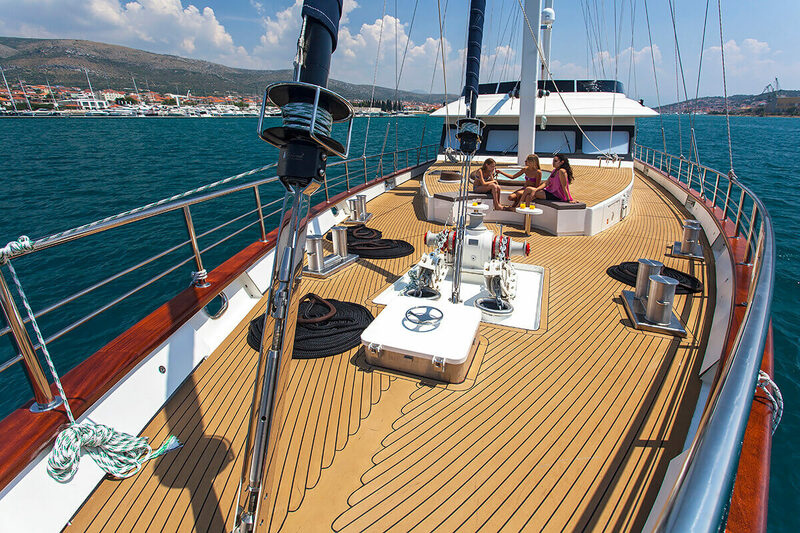 Please note: APA to be paid in cash on board or as a wire transfer to service agent’s account. 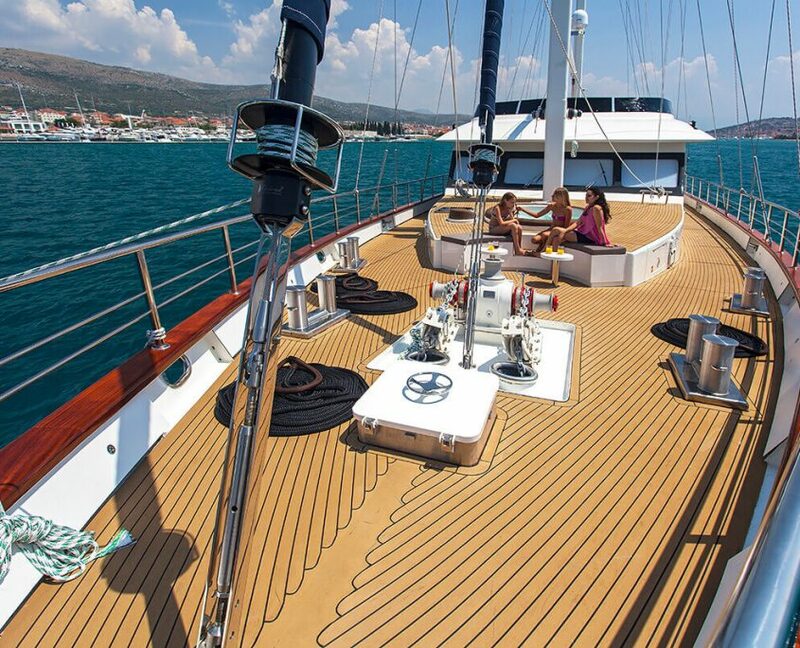 Should APAbe paid as wire transfer, cost of 2% will be deducted from the APA. 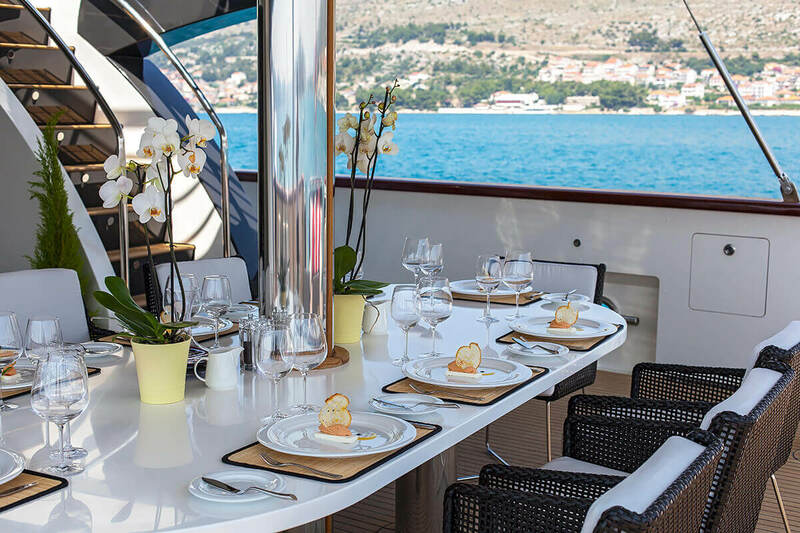 Before your departure, You will receive a list of food served on board so you can specify all extra needs you might have or remove any items you do not like. 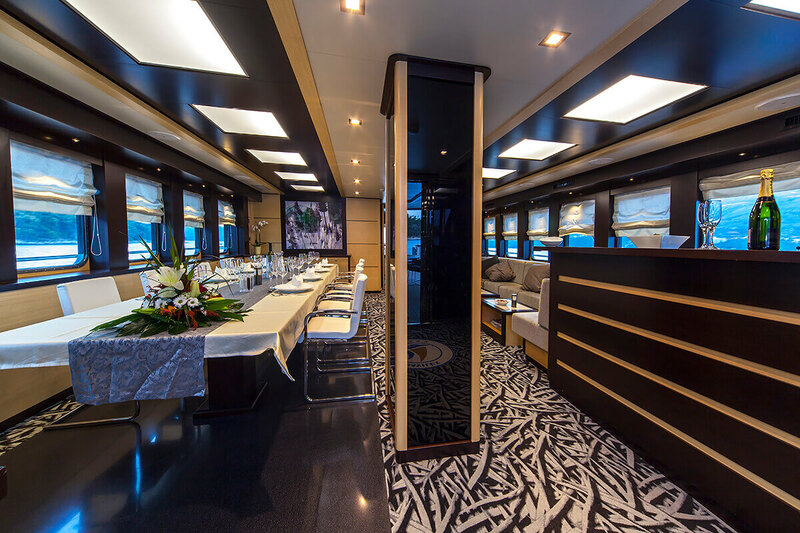 Your cruise assistant will forward all of the group’s wishes, info about allergies likes and dislikes to the chef on board. 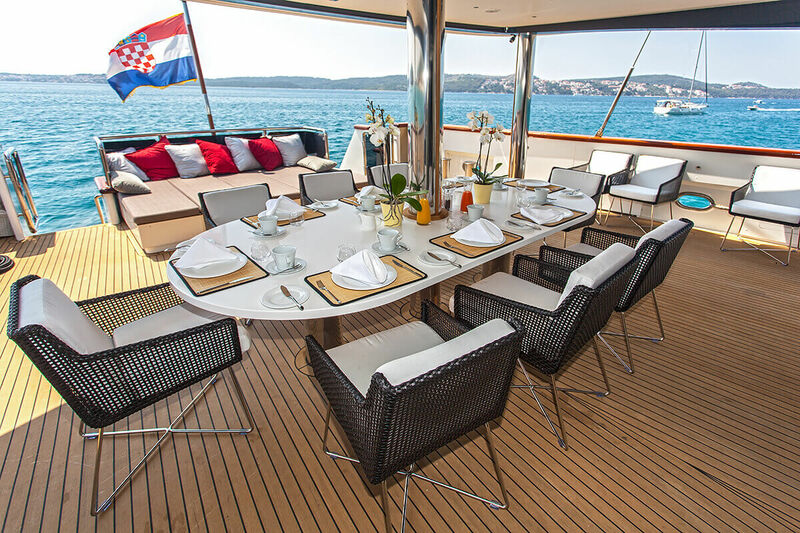 All Inclusive drinks package includes local alcoholic and non-alcoholic drinks produced and bottled in Croatia. 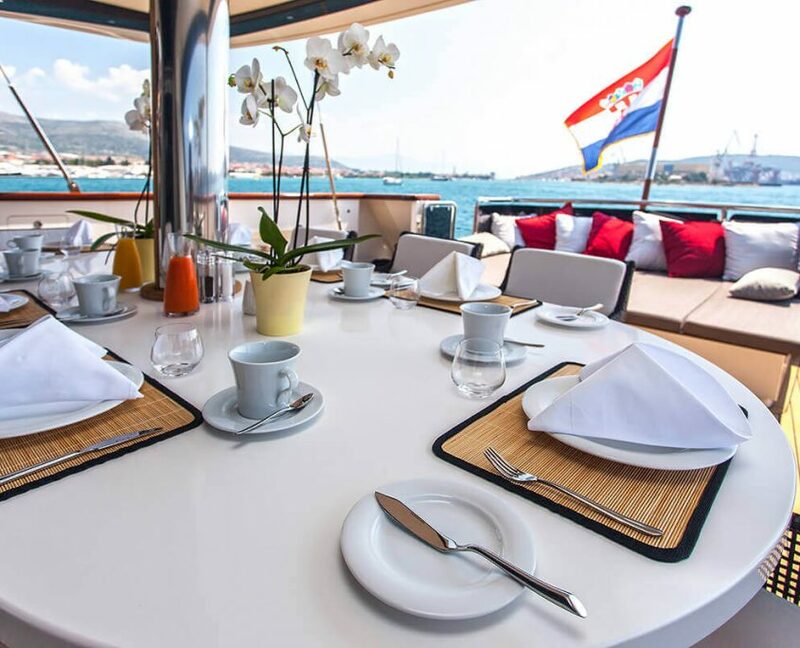 Chef: Navilux is famous for its food and exquisite cuisine. 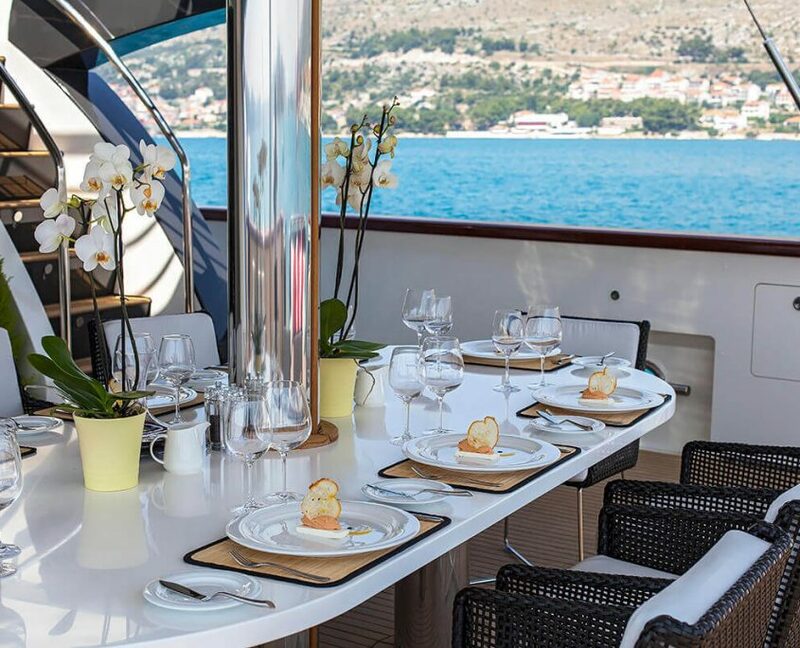 Food is modified according to your taste buds and good planning can make wonders for your cruise.